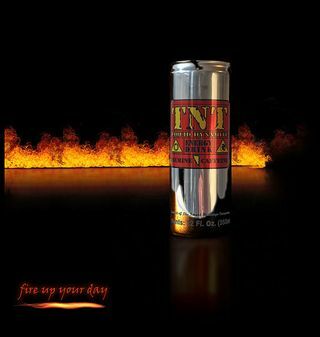 Red Bull…Energy Star…Starbucks Shots…o yes and in a bind–don’t forget Five Hour Energy. Welcome to American Society. Do more, with less and do it better! It seems plausible that in the near future, some pharmaceutical company or corporation will find a way to give caffeine by IV … FDA approved, of course! There’s one hitch: recently the food gurus in the Food and Drug Administration are clipping the wings of energy drinks that combine alcohol and caffeine. This is none too soon. While promoted for their beneficial aspects, many such energy drinks are said to cause severe health concerns, including sudden death (yikes! ), unexpected illness, and conditions that mirror heart attacks. Medical officials have spoken out about the dangerous effects of the drink saying that the caffeine masks the effects of the alcohol, keeping the consumer from adequately gauging their blood alcohol level while providing increased energy to continue alcohol consumption. Additionally, no studies have yet adequately measured what amounts of these drinks should be considered safe or dangerous. The New York Times suggests that after a year of study the FDA is likely to decide the fate of such energy/alcohol drinks in the coming week, perhaps as early as Wednesday. If the FDA finds the drinks are dangerous, expect a challenge. The most popular alcoholic energy drink, Four Loko, has reported sales of over $144 million each year. Is this really all about energy and focused attention, or is it about mood enhancement? Because the benefits energy drinks are supposed to provide through consumption also have an innate source: the practice known as mindfulness. Stemming from Buddhist teachings on liberation and enlightenment, mindfulness is a state of calm energy that conscientiously brings heightened attention to the present moment through awareness, feelings, interactions and bodily functions. In recent years, western psychology has jumped on the “bandwagon” of mindfulness through dialectal behavior therapy, the integration of Asian psychotherapies, stress reduction models and its incorporation in humanistic and existential psychotherapies; among others. World renowned for his expertise in mindfulness, John Kabat-Zinn has written extensively on mindfulness and its benefits to the mind-body interaction in medical facilities, psychiatric and psychological offices, multicultural organizations, educational institutions, corporations and in the professional sports arena. Originally completing a doctorate in molecular biology, Kabat-Zinn has published well over six books and numerous articles and published research studies. In psychology, Kabat-Zinn is most known for his research and publication of The Mindful Way Through Depression: Freeing Yourself from Chronic Unhappiness. Along with authors Williams, Teasdale, and Segal, Kabat-Zinn explores the medium of mindfulness and cognitive therapy in treating mood irregularities, rumination, self-blame, low self-esteem and overwhelming negative emotions. Known as Mindfulness-Based Cognitive Therapy (MBCT), the authors promote the research based method as a way of accepting mental distractions with the ultimate goal of disengagement from passing thoughts and feelings that often overpower a person’s existence. Kabat-Zinn, Williams, Teasdale, and Segal directly challenge assumptions regarding the power of thinking and emotions; speaking to the need to create stronger mind-body connections with ourselves. The method is empirically validated in its ability to rewrite neural pathways, decrease rates of relapse in people with depression, and in its ability to provide a natural form of energy and attentiveness to one’s inner and external realities. Published in 2007, The Mindful Way Through Depression was introduced into society at the height of energy and alcoholic energy drink consumption. Mindfulness, in comparison to energy drinks, provides a natural form of energy and present-centered attention; side effect free. Two years after the release of Kabat-Zinn’s book, a public and medical outcry has caused the FDA to reexamine the safety of energy and alcoholic energy drinks. With any luck our society is on the brink of a mindfulness revolution: 100% side effect free and 100% attentive energy full!